With its distinctive shape, the Antiqued Italo Corinthian Helmet is perhaps one of the most classic and identifiable helmets of history. 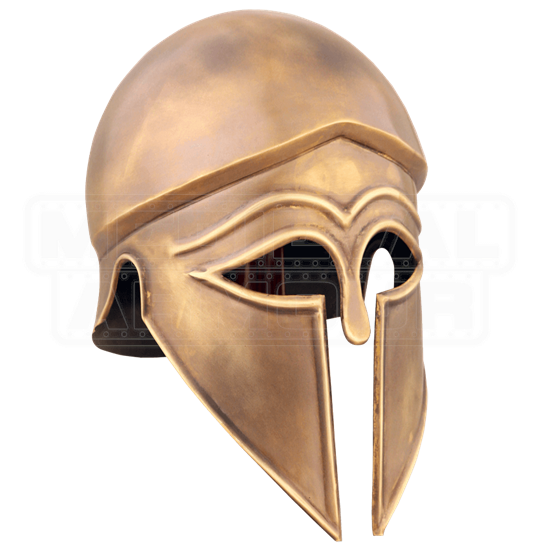 The iconic helm of the Spartan warrior, this helmet was favored by many Greeks because of its protective abilities. This simple helmet features a rounded top that is perfect for deflecting blows off of the top of the head, while a small protrusion at the back helps to protect the neck. The front of the helmet features a shallow brow and embossed lines above the face. Long cheek-guards protect the face, while leaving an open, vaguely T-shaped section in the front of the helm, giving a warrior good vision while also allowing them to breath easily. This particular helmet is made from quality metal that features an antiqued look, giving it an aged appeal that makes it look all the more like a priceless historical antiquity. 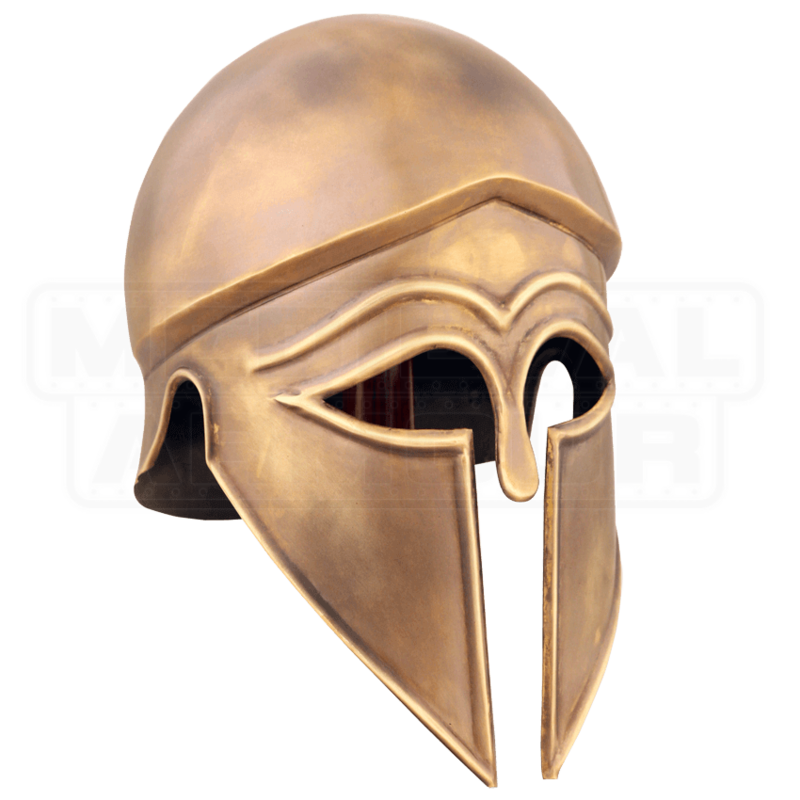 Adding the Antiqued Italo Corinthian Helmet is a great way to add a touch of authenticity to any Greek hoplite or warrior look, and the helmet is also an instant collectors item that is sure to look great in any enthusiasts collection.